Childhood heroes carry a lot of great memories with them. Santa Claus, and the Easter Bunny (maybe even the Tooth Fairy) are often associated with family, togetherness and happiness. Growing up in the Netherlands, we celebrated the arrival of Sinterklaas (Saint Nicholas) in harbor cities every year. 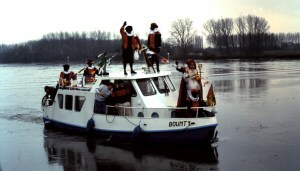 As the story goes, Sinterklaas arrives from Spain by steamboat with his assistants, the Zwarte Pieten (Black Peters). Everyone sings “Zie ginds komt de stoomboot (“Look over yonder, the steamboat is arriving”)” in full anticipation of the Sint and his Petes. The “Petes” and their political correctness (some argue these Petes are slave-like) has long been debated. Their appearance represents their work in getting gifts to children through chimneys. Despite this debate, kids eagerly await Sinterklaas’ arrival and festivities kick off throughout the country. Kids and adults get off from school and work and line the streets hoping to catch a glimpse of Sinterklaas and the Petes. And, if they’re lucky they might even catch pepernoten (gingerbread biscuits) and other candy that the Petes throw into the crowd. Once he’s left the steamboat, Sinterklaas rides his white horse, and the parade festivities start. According to tradition, once Sinterklaas has arrived, parents instruct their kids to leave their shoes in the living room with a carrot for the horse. Sinterklaas determines each year if the child gets a gift based on behavior. Nice kids get a chocolate letter (typically, the first letter of their name) and other treats, while the “bad” kids supposedly get coal. Thankfully, my parents never left any coal…so, I can only assume I was on my best behavior! A specially designated evening of “Sinterklaasavond” or “Pakjesavond” (which marks Sinterklaas’s departure to Spain) is the time when Sinterklaas leaves gifts for kids on their “doorstep.” Accompanying the gifts is a funny, personal poem specifically written for its recipient.During my childhood, we would often celebrate the holiday at my grandparents’ home. 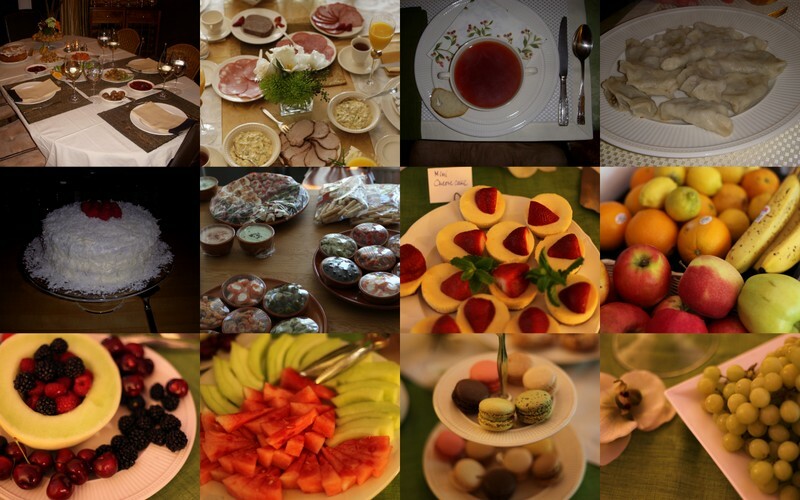 Grandma and grandpa would set the mood with plenty of snacks, music, and entertainment for all. They must have spent at least a few days preparing everything for our large family. I will always fondly remember the warmth of my grandparents’ home and the connectedness to family and tradition. Sinterklaasavond was one of the best times of the year where we all came together. My grandpa would arrange a personal visit from Sinterklaas and his Petes, which only added to the excitement. After all, in school they would tell us that the Sint was a “very busy man with limited time” – so, we felt special that he would show up to our grandparents’ house just for us. While I don’t live in the Netherlands anymore, my family upholds the Sinterklaas tradition each year. We exchange songs, memories, gifts and sweets to celebrate. Which holidays do you love best? Do you travel for the holidays? How important are holiday traditions? Have you learned about interesting, foreign holiday traditions?